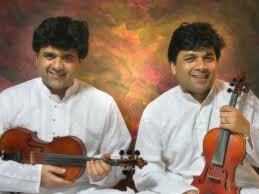 Ganesh Kumaresh, the world-renowned Violin duo are known for their scintillating and spirited Violin recitals since three decades.Their music is laden with pure virtuosity and brims with novel surges of soul stirring creativity soaked in Classicism. Their creative idiom is international and their communication through music crosses all physical boundaries. Their trysts both at home and abroad have not been with just audiences of Indian origin but also have captivated audiences across the world keeping them spell bound and enthralled with electrifying energy. 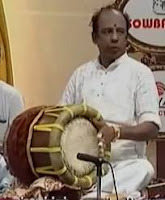 Thavil maestro Tanjavur Govindarajan is on of the foremost exponent of the art form of playing the Thavil (barrel drum). He has been performing as a thavil vidwan(maestro) for the past 4 decades and has created a niche for himself as a very versatile and inspirational artiste. He is known for being very subtle and at the same time very dynamic on an instrument which is by itself very loud. He is the recipient of the Kalaimamani award conferred by the State Govt of Tamilnadu and has received many more awards and accolades from various organizations all over the world. Patri Satish Kumar on the mridangum (carnatic double headed drum) is the one of the most sought after mridangum vidwans today. He has the unique quality of adapting his performance according to the nature of the artiste he is performing with and is a star among percussion players of India. He has been playing this instrument for the past 2 decades and has enthralled both the learned and uninitiated with his virtuoso performances. He is recipient of many awards and accolades from many leading organizations and has performed in many international festivals. For members: Admission is FREE! Email richmondrasikas@gmail.com to reserve your seats today! 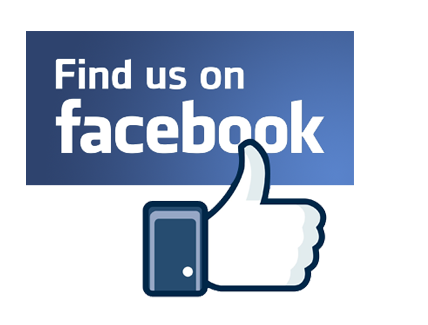 Those who wish to become annual members of Richmond Rasikas may do so at the front desk on the day of the concert.